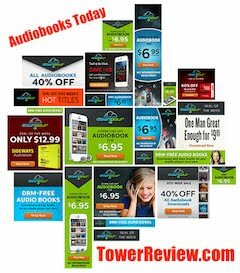 AUDIOBOOKS TODAY: You have an association with Minnesota Public Radio and with Highbridge Audio, and you often tour the country with your radio show, besides teaching at the University of Minnesota. What gives you most satisfaction--writing, performing, or teaching? GARRISON KEILLOR: I don't associate work with feelings of satisfaction. Rather, guilt, frustration, and resentment of people who write better than I do. Writing is the main gig around here, and teaching and performing are sidelines, an excuse for not writing more. Working on a novel and on an opera make me seriously want to retire and find a volunteer job as a docent at the zoo explaining to schoolchildren where frogs go in the winter. Q: What inspired you to begin this journey? Who influenced you? A: I was inspired by the need, as an English major, to earn a living in the world and to pay the rent and purchase coffee and cheese danish. I spent most of the 60s in college, imagining I was brilliant, and then, in 1969, my son was born and I had to find work that someone would be willing to pay me to do, and the choices were limited in the extreme. Fortunately, I caught on as a DeeJay in public radio and I've clung to this raft ever since. My last job interview was in 1969. I will never write another resume. This is my earnest prayer. Q: In your novel Lake Wobegon Summer 1956 you mention a lady who hypnotizes chickens before chopping their heads off. Then there's the Doo Dads singing "My Girl" while repressed 14 year old Gary tries to both indulge and conquer his adolescent urges. With all the description and depiction going on, your town of Lake Wobegon really comes to life, and has people asking you if the place really exists. Do you see that question as a compliment or a nuisance? A: Nothing that readers say or do strikes me as a nuisance. Anyone who cracks open a book of mine is, to me, a gem. And I am impressed that you know about the chicken hypnotizer and the Doo Dads and the boy's adolescent urges. Most interviewers don't have time to read my books. They ask questions like "What's your favorite TV show?" or "What's it like to be your age and know that the twilight years are near?" As for Lake Wobegon, it's a real place, so the question is easily answered. Q: You live in St. Paul, in the land of 10,000 oft-frozen lakes. I was born there, but haven't been back since age six. How has the area changed, and is the longing for simplicity and family values more alive there than elsewhere? A: In the time since you left, son, Minnesota hasn't changed all that much, except the Twins won the World Series twice, and we elected an irate oaf for a governor, and a lot of farms have been lost to housing developments with names like Woodlawn and Riverwood and Floodcrest. I don't detect a longing for simplicity so much as a longing for a 28 hour day. 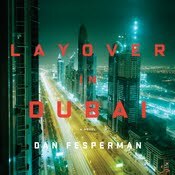 People are ferociously busy, and it's taken a toll on all the leisurely arts, such as friendship and humor and good samaritanship. There isn't time for it. As for family values, they are whatever they are--some families are tight, others are blown away like dandelion puffs. A main value in Minnesota is still: don't waste my time, don't B.S. me, I wasn't born yesterday. Q: What is audience reaction to your shows and signings? Any anecdotes to share? A: I did a reading in Seattle a which a little girl in the front row fell sound asleep. She slept for more than an hour. It was sweet. I seem to have a God-given ability there. Some people in the room were hooting and slapping their knees, and she simply leaned her head against the fat lady next to her and dozed off. It's good to be useful. A boy wrote me once to say that he loved it when the news from Lake Wobegon came on the radio because it meant that his parents stopped arguing. That was an eye-opener for me. You work hard to polish your act and then you find out that it does people good in ways you couldn't predict. The audience is invisible and that's good. Somewhere my voice is drifting through a swine barn and the sound of it seems to perk up the sows' appetite. Or a lady is listening on headphones as she jogs along a beach, running to my cadence. Or a dog sits in front of the radio, head cocked, and the sibilants excite him in some mysterious way. A dog's humorist, that's me. Q: Your guests are an eclectic mix of musicians and storytellers. Who are you most proud of having had on the show, and who do you wish would appear or come back? A: Chet Atkins was a classy act. Nobody like him. The man never had a bad night. And Willie Nelson. A great musician, very underrated. Bogan, Martin, and Armstrong were great, an old black string band from Knoxville. And Emmylou Harris and Gilliian Welch and the Fairfield Four. And the Mormon Tabernacle Choir. When they left, at the intermission, the hall was suddenly half empty. I wish Willie would come back, but then I also wish I were 36, so what can you do? Q: On the show you also have comedy radio drama skits and fake commercials. Are those items advertised ever real? A: They're all real, actually. Bertha's Kitty Boutique, and the American Duct Tape Council, and Bebopareebop Rhubarb pie, and Powdermilk Biscuits. And if you'd like to buy a few shares of stock, see me. 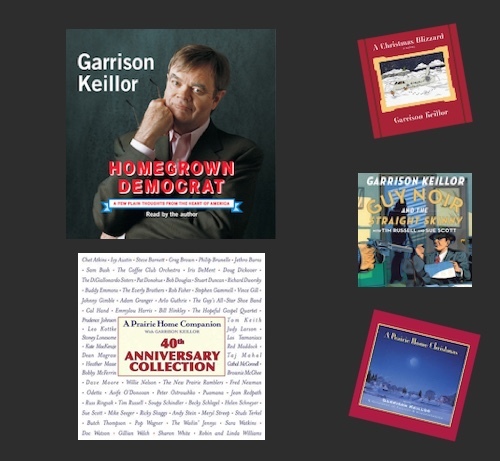 Q: What does Garrison Keillor do during off hours, if there is such a thing as off hours for you? A: Sleeps, cooks, reads, plays with the kid, goes to movies, shovels snow, sits and yaks with friends. I'm a lucky guy. I get to sit around every day and indulge in make believe and get paid for it. A: A show on Saturday. Look forward to it. 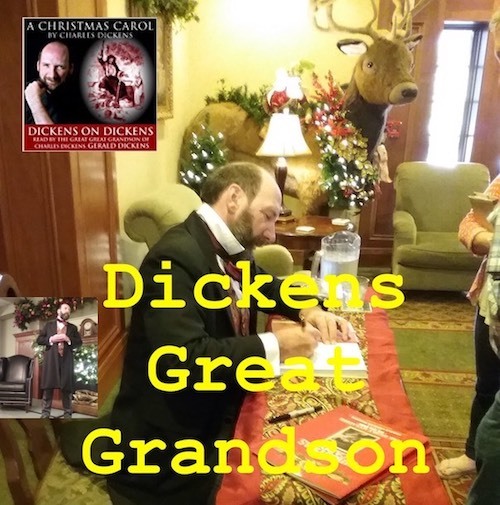 Charles Dickens Great Grandson reads A Christmas Carol.